Business Management graduate Anna Cantrell loves her new career in Human Resources. Cantrell, a November 2014 graduate found her niche in the Business Management program at West Virginia Junior College Charleston. During her time at the college, Cantrell was involved with campus life. She spent her hours on campus serving as a student ambassador and working as an administrative assistant. Outside of WVJC, Cantrell worked as an office manager at a local organization. Busy does not begin to describe her daily routine. Anna maintained a 4.0 GPA and had an excellent attendance record while working two jobs and raising a daughter. When asked how she accomplished so much while juggling the demands of life, she credits her success to her young daughter. “Well… I wasn’t sure about returning to school with so much on my plate. However, I knew that my daughter depended on me. So I made the decision that school had to be moved to the top of my priority list,” Cantrell said. Anna says West Virginia Junior College was the perfect fit for her especially being a “non-traditional” student. Aside from the understanding WVJC faculty and staff, Cantrell also says the fast pace curriculum made the transition from student to business professional nearly seamless. “If it wasn’t for the amount of work I had to do within a six week period, I wouldn’t have been nearly prepared. In my current job, I have to process payroll, company taxes and process the daily invoices for three store locations. Myself and the other office manager have a lot on our plates, but having two or three classes every six weeks prepared me for a heavier work load in the office,” stated Cantrell. Today, Anna works in Human Resources at a local business with many store locations. 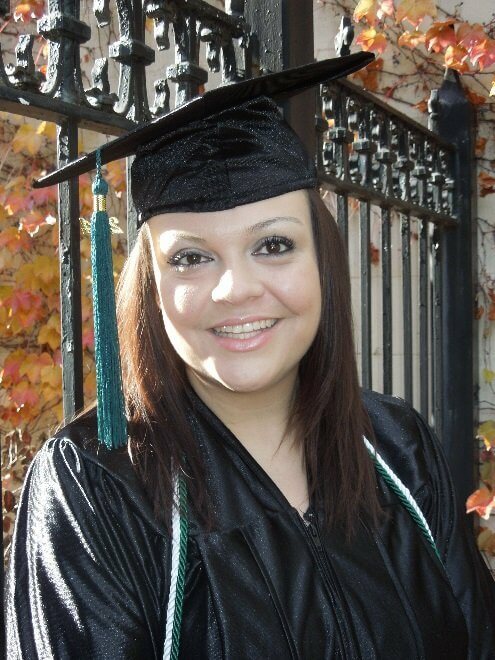 She enjoys her career and has succeeded in her goal of becoming a business administration professional.